For many years, Perlimpinpin has been a Canadian dream maker of choice. Indeed, their sleep bags are #1 coast to coast! 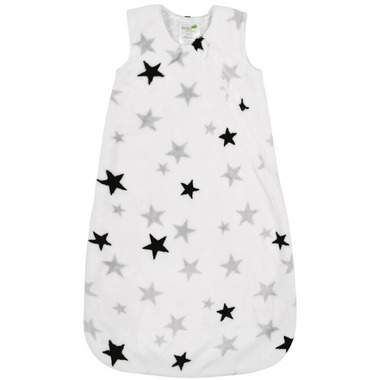 Fully adapted to winter cold, this plush sleep bag will keep little feet warm all night long. Your little sweetie will also be able to move freely in the crib thanks to the sleep bag's wide bottom. Coziness guaranteed no matter baby's favourite sleeping position. Match it with a blankie and you get the ideal winter baby cocooning kit! Materials: Shell: 100% polyester. Lining: 65% polyester, 35% cotton. Very warm ! Perfect fit to keep our little ones warm but also give them freedom to move their legs !